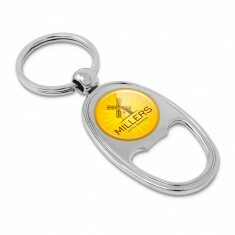 Get your drinks at the ready as cracking open a bottle on those warm summer afternoons has never been simpler with our promotional Bottle Opener Keyrings. 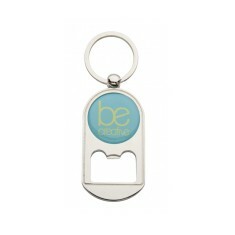 Ideal for keeping your branding literally hanging around, our personalised bottle opener keyrings make excellent giveaways. 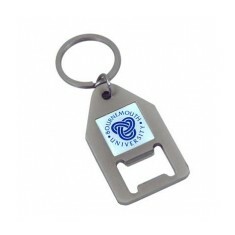 They offer a practical solution which means your branded bottle opener keyrings are sure to be one of the first items thought of when it comes to opening a chilled beverage on a hot summers afternoon. 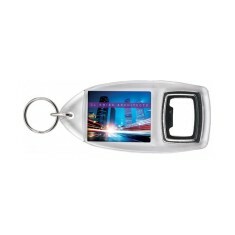 Whether you’re looking to promote your club or doing some giveaway promotions for your local taxi firm, custom printed bottle opener keyrings make a great way to keep your brand around and in your client's pocket. 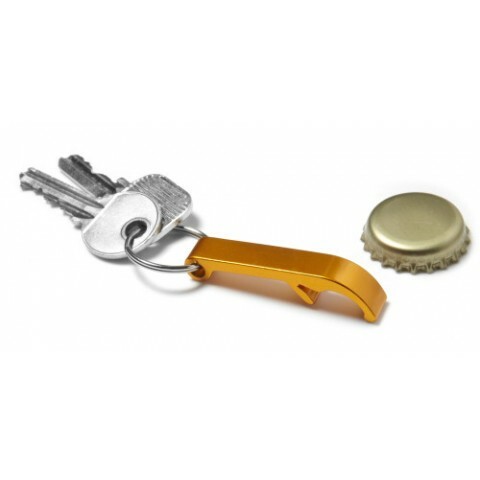 From adding a touch of class with an engraved Vanguard Bottle Opener Keyring to adding a touch of novelty with a custom printed Crown Top Bottle Opener Keyring, we have something for everyone here at MoJo. 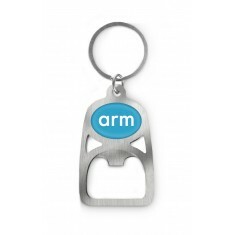 One of our favourite from this range is our personalised Metal Bottle Opener. 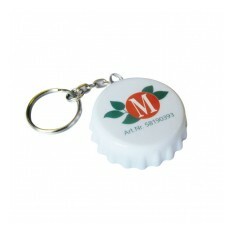 Engraved with your design for a lasting finish, this product is an excellent giveaway especially for university events, exhibitions or as handy giveaway for new pubs or clubs. 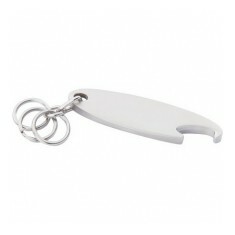 This keyring slips onto any keys and is guaranteed to get used every time your client needs to pop open a bottle. 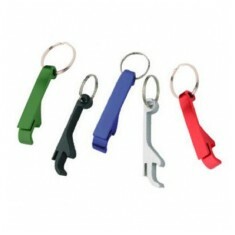 Looking for some more information on these keyrings? Give our sales team a call and we will be happy to answer all of your questions! Novelty style. Branded to 1 side as standard. 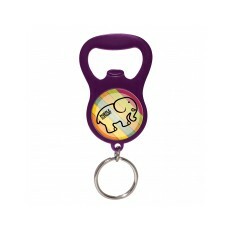 Keychain fitted. 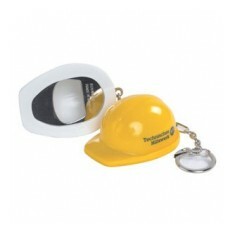 White or yellow versions. Printed full colour. Epoxy dome resin finish. 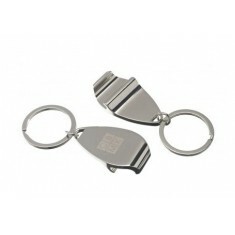 Supplied gift boxed as standard. 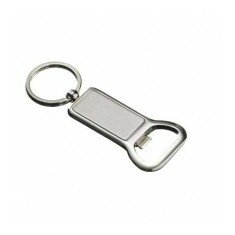 High quality metal material. 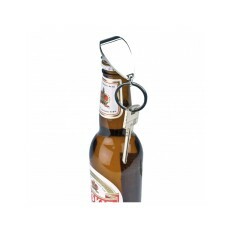 Keyring attachment. Branding to 1 or both sides. Dome resin finish. 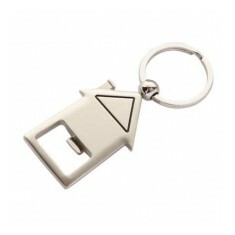 House shaped & incorporates bottle opener. 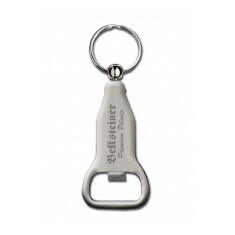 Laser engraved design for durability. 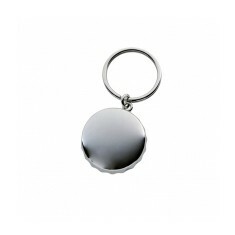 Silver nickel plating. 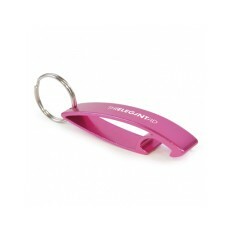 Supplied with split ring. 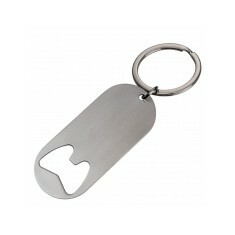 Personalised via laser engraving. Plastic material. 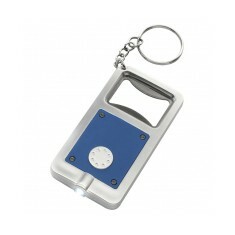 Bottle opener & LED light. 6 colour choices. Printed to 1 side. Matt silver finish. 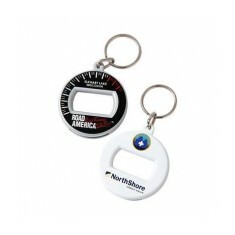 Customised via laser engraving to 1 side. Quick delivery. 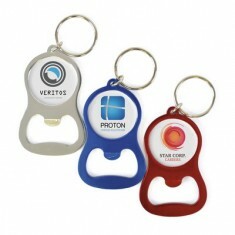 Provide the ultimate practical giveaway with our custom printed Bottle Opener .. 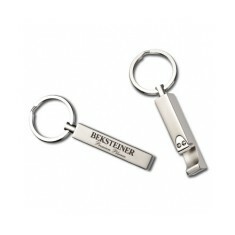 Premium metal design. Weighty feel. Supplied gift boxed as standard. Laser engraved design.